8 1/8 x 6 1/4 x 4 in. Plot plays on the computer form of nonlinear access to many textual surfaces simultaneously. 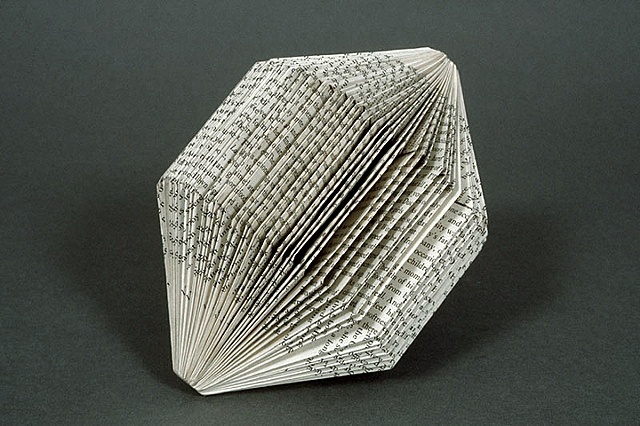 The folded-over pages transform novelistic sequence--glimpsed here in a kind of cross-sectioninto a three-dimensional molecular shape, like a building block of matter out of which whole new worlds can be constructed.